Paris Hilton was on the scene with pink wheels way before Nicki Minaj was ever discovered. 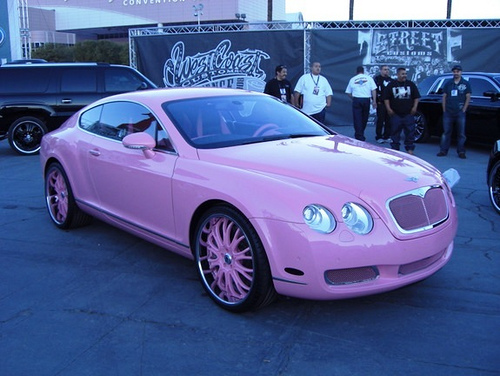 The New York-born heiress has a net worth of over $100 million and in 2008 she spent about $285,000 on a pink Bentley Continental GT. Paris Hilton even added a diamond-encrusted dashboard to her pink Bentley and bought the car as a Christmas present for herself.